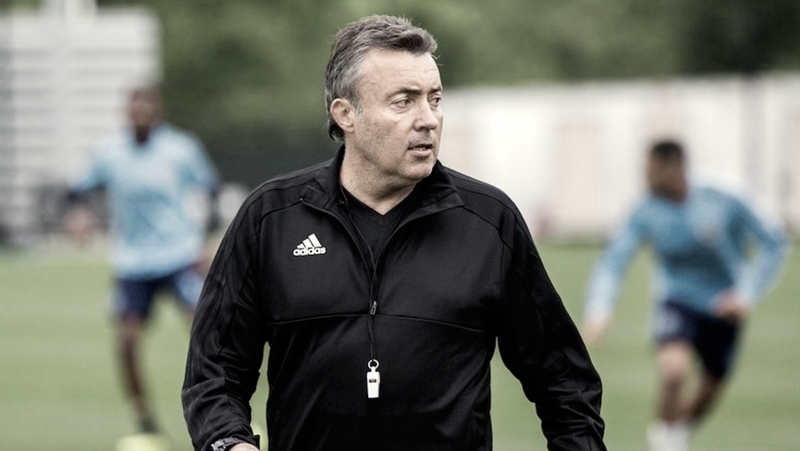 With Patrick Vieira's exit came the arrival of Domènec Torrent. He now begins his journey in America. On Sunday, New York City FC will host 2017 MLS Cup Champions, Toronto FC. The host's most recent game was a dominating performance against Atlanta United but they were forced to settle for just one point. However, this time around, Patrick Vieira will not be on the sideline. Domènec Torrent, assistant of Pep Guardiola for the past decade, will take to the sideline in hopes of picking up his firth three points as an MLS manager. A new managerial appointment provides new opportunities for some players. Those players will include the likes of young forward, Jonathan Lewis, who began impressing in recent opportunities. This is the first of two meetings that will take place between the pair of Eastern Conference sides this summer. However, the two clubs have met several times over the past few seasons often resulting in entertaining affairs. The overall series is currently in favor of Toronto (3-4-2) but NYCFC has the opportunity to level things on Sunday. The most recent meeting was a 4-0 beatdown in favor of TFC as Sebastian Giovinco's brace helped push the Canadian side past NYCFC. New York City FC: Unfortunately for NYCFC, they'll be forced to play without Rodney Wallace who is currently in Russia representing Costa Rica at the FIFA World Cup. Ronald Matarrita, who was on the same plane that took Wallace to Russia, has picked up a hamstring injury and will miss the match. On top of that, Cedric Hountondji also has a hamstring injury which will see him out of the match alongside Yangel Herrera who recently had season-ending ankle surgery. Toronto FC: Despite being lucky enough to not see any players leave on international break, TFC will still miss a number of players through injury. Amongst those names is Jozy Altidore as the American forward is still recovering from his recent foot surgery. The backline is also pretty beat up as Drew Moor's quadriceps strain and Chris Mavinga's hamstring strain will leave them on the sideline for the match. Ashtone Morgan's hamstring strain leaves him a doubt to play further extending Toronto's defensive injury woes. To top it all off, goalkeeper Caleb Patterson-Sewell is out with an elbow injury. Following Sunday's game, NYCFC will prepare for Torrent's first visit outside of New York as the boys in blue go visit the Chicago Fire to wrap up the month of June. Then, Torrent gets his first taste of the Hudson River Derby action as NYCFC begins a 3-game homestand by hosting the New York Red Bulls. Like NYCFC, Toronto also hosts the Red Bulls soon as they begin the month of July with that fixture. Then, Toronto is on the road for four consecutive games as they pay visits to Minnesota United, Sporting Kansas City, Orlando City SC and Chicago Fire.